Do You Need Stickers or Labels for That? 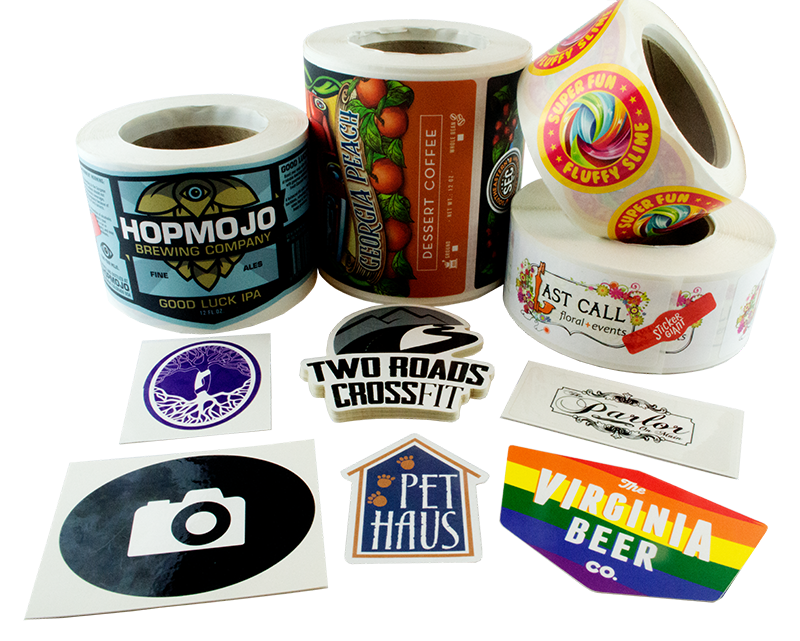 When you need to label your products or promote your brand, you have some great options with custom stickers or labels. 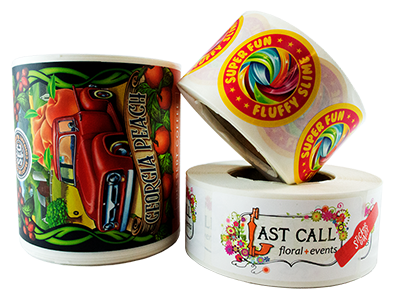 Which to choose will depend on your application needs, and how you plan on using your custom stickers or labels. Let’s take a look at what makes these products different, and what type will work best for your needs. Custom stickers are an outdoor durable product that lets your brand travel far and wide, and be applied just about anywhere. This means, when you want your brand to travel outdoors, or when you know your products will be on display in outdoor settings, you’ll want to consider custom stickers for your designs. Die Cut Stickers are available in your choice of a glossy or matte finish, and are individually cut with no visible backing for a clean presentation both before and after application. Die Cut Stickers will have a split back, for easy peeling and sticking, making them ready for your fans to stick to their favorite go to items. Kiss Cut Stickers can be finished as individually sheeted stickers, or on a roll, and it’s your choice depending on what works best for you. 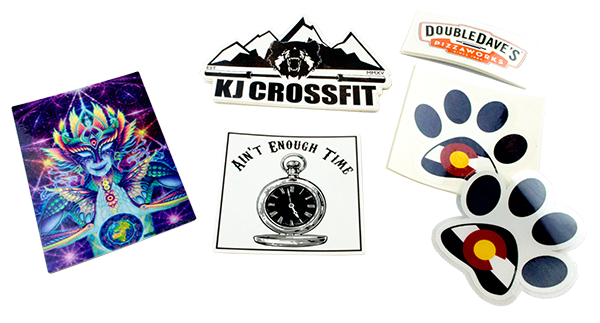 As an individually sheeted sticker, you will see a small amount of visible backing surrounding your custom shaped sticker. This type of sticker is also a nice alternative to custom product labels when you know your products will be displayed or exposed to the elements. Not sure what would work best for you? You can learn more about our Rolled Stickers and Labels. Clear Stickers are a great product for advertising your brand on storefronts or car windows, and are finished as individually sheeted stickers. With a crystal clear material, your designs can be applied to a variety of surfaces, letting the background show through the sticker, and your artwork. When you want to enhance the opacity of your designs on Clear Stickers, you can add a layer of white ink behind your artwork. Silkscreen Stickers are one of the most durable types of stickers you can find, and are printed with a traditional spot color method, with each color in your design getting applied in its own layer. This type of sticker is still popular as a bumper sticker, turning brands, logos, quotes, and more into traveling billboards on vehicles everywhere. Sometimes all you need is an indoor option, with the durability to stand up to oils and water. Custom labels are self-adhesive, and ready to make your products look amazing on store shelves, and with your customers while they are getting great use from them at home. Find the look that works best for your brand, with great types of custom labels to get you started, including Glossy, Matte, and Clear Labels. Custom labels are also printed with full color process, so you can bring out all the colors of your brand, with the detailed print you may also need to include on your labels, like an ingredient list. When working with Clear Labels, the opacity of your designs can be enhanced by adding a layer of white ink behind your artwork. Or we can print your Clear Labels without this layer, for a more transparent effect in both your label, and your designs. All of our product labels are available with free custom shapes. This means your labels can compliment the shape of your product packaging, from bottles with specialty juice to gift boxes you want adorned with your brand, and so much more. Custom labels are available in sizes up to 11 x 14 inches. You can get a small round label for the top of a jar, or a variety of sizes, shapes, and styles for your entire product line and what works best for your brand. Custom labels are finished on a roll, making it easy for you to apply them by hand, or with a label application machine. If you need your labels oriented on the roll in a specific direction for working with an application machine, just let us know. 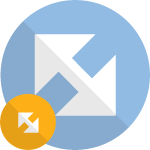 You can learn more about label orientations, gap widths and other fun stuff about labels on our Product Labels page.